Once again I only completed one of my goals for the first quarter of the Finish-A-Long, but I guess one is better than none! If you've followed my blog, or any number of other quilting bloggers, you probably have heard of the Finish-A-Long, but if not, you can check out the details here. I just blogged about this finish in my last post here, but I see that has been a couple of weeks ago! 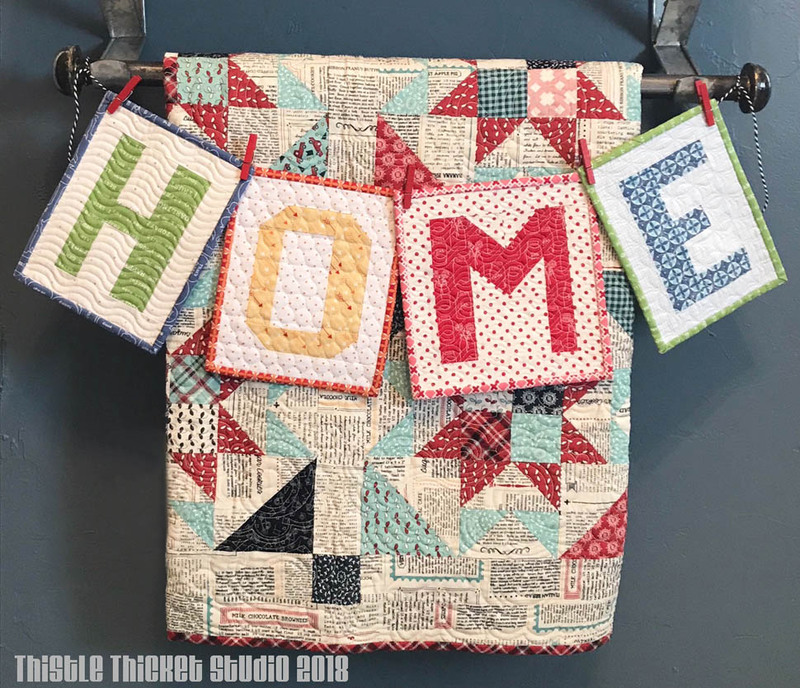 As you can tell, not much sewing (or blogging) has been going on here since I returned home from our month-long vacay to Texas because I've been fully immersed in my surface pattern design class, but that's for another post. This was a fun little project and I'm hoping to make more projects from the book, Spelling Bee by Lori Holt of Bee In My Bonnet. At least one will surely be on my Q2 goals! I'm linking this post up with the Q1 FAL linky party. You can see all the entries at the link up here. Are you participating in the FAL? What are some of your goals for the next quarter? Very fun and homey! Not meant to be punny - it really connotes home-style coziness. Love the home blocks! I'm making a set of the letters for my son to learn the ABC. Except I'll be making a couple of the same letters, so he can spell his name and the girls can spell their names. Going to add it to my Q2 list. 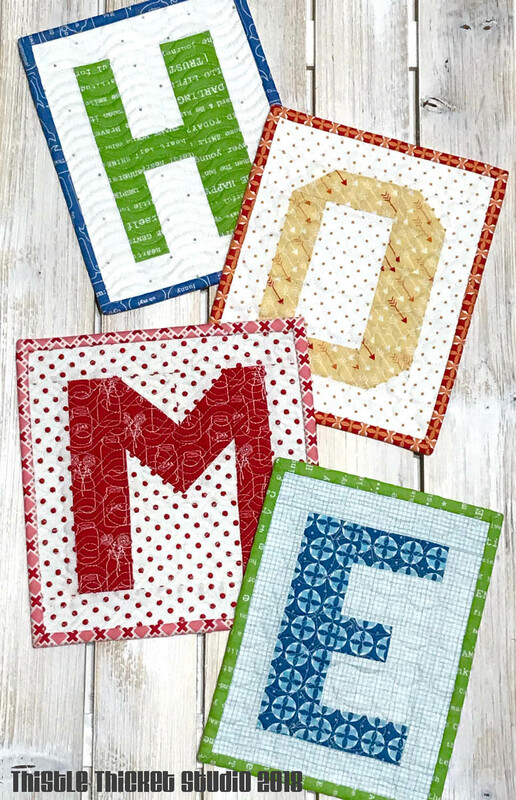 Those mini letter quilts are great, well done on a lovely finish! And thank you for participating in the Finish-A-Long!